Killer mosquitoes are coming—mosquitoes that help kill other mosquitoes, that is. The Environmental Protection Agency has approved lab-reared mosquitoes infected with the bacterium Wolbachia pipientis to be released into the wilds of 20 states and Washington, DC. The mosquitoes are engineered by the company MosquitoMate so that they deliver the bacterium to wild mosquitoes when released, killing off insects that could transmit viruses such as dengue, yellow fever and Zika. The technique is a riff on an approach used to manage agricultural pests for more than half a century known as “sterile insect technique.” Using radiation to randomly cause an insect’s genes to mutate, scientists made problematic species like the screwworm unable to produce viable offspring. By 1982, screwworm was completely eradicated from the US. Mosquitoes, though, are too fragile to blast with rays of radiation and still be capable of mating in the wild, forcing scientists to turn to other techniques such as genetic engineering or, in this case, the Wolbachia bacterium. The company will rear the infected mosquitoes in its Kentucky lab, sorting non-biting males from females. Then those males will be released at treatment sites to mate with wild females, producing eggs that don’t hatch because the virus prevents paternal chromosomes from developing properly. The idea is that over time, as more male mosquitoes are released to mate with wild females, the population dwindles—without having to resort to pesticides that are not only harmful to people and the environment, but rapidly dwindling in efficacy. The news was reported first on Tuesday in Nature, and confirmed to Gizmodo by MosquitoMate and the EPA. 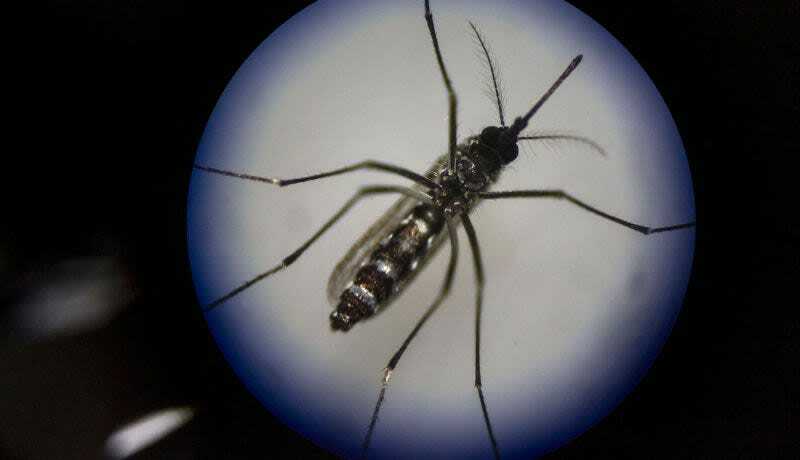 The EPA said that on November 3 the agency officially registered MosquitoMate’s Asian Tiger mosquito as a new biopesticide, with a five-year license to sell in 20 different states. MosquitoMate CEO Stephen Dobson told Gizmodo that the company will begin releasing the mosquitoes in the Lexington area next summer, and gradually expand to other nearby metropolitan areas like Nashville and Louisville. The company will contract with local government bodies, as well as sell the mosquitoes direct to home owners via a summer-long subscription. MosquitoMate is not the only entity to explore the use of lab-grown mosquitoes to kill off pests, but its approach has been far less controversial than some others because it is perceived as a “natural” alternative to pesticides. The British biotech company Oxitec has for years sought approval to release genetically engineered sterile insects in the US, but so far has yet to even gain approval for open-air tests. In the Florida Keys, for example, the local community railed against Oxitec’s mosquitoes, forcing the company to seek a new location for its trials after a local vote. Meanwhile, MosquitoMate’s trials in the Keys and Fresno, CA attracted little attention. Dobson told Gizmodo that it is also pursuing the release of the Asian Tiger mosquito nationwide, as well as trials of another species of mosquito, the Aedes aegypti—one of the deadliest species of mosquitoes. Genetically modified mosquitoes could wipe out the world&apos;s most deadly viruses. If we let them.